I have really been looking forward to some warm weather, so when it came, I was more than ready to get out the grill and start thinking about some good grilling recipes. My family and I love to barbeque and eat out on the deck. But our Seattle area weather can be gorgeous one day, and rainy and cold the next. We took advantage of a couple of sunny days to grill up some new Hillshire Farm American Craft Sausages that I picked up at Walmart. Let me say right now, that I love these new sausages. I have bought Hillshire Farm meats forever, so I always trust that they will deliver a great tasting product, and they really came through with this one. 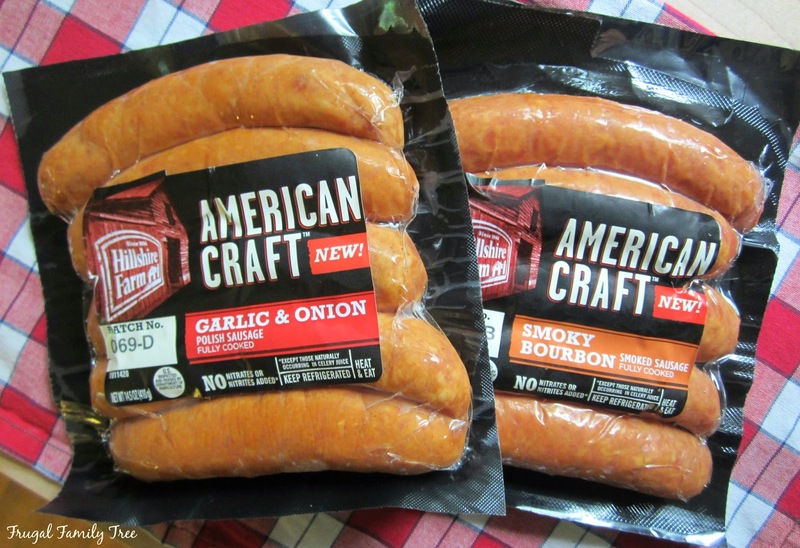 Delicious and flavorful, the new American Craft Sausages come in five flavors. I bought the Garlic & Onion, and the Smoky Bourbon flavors. 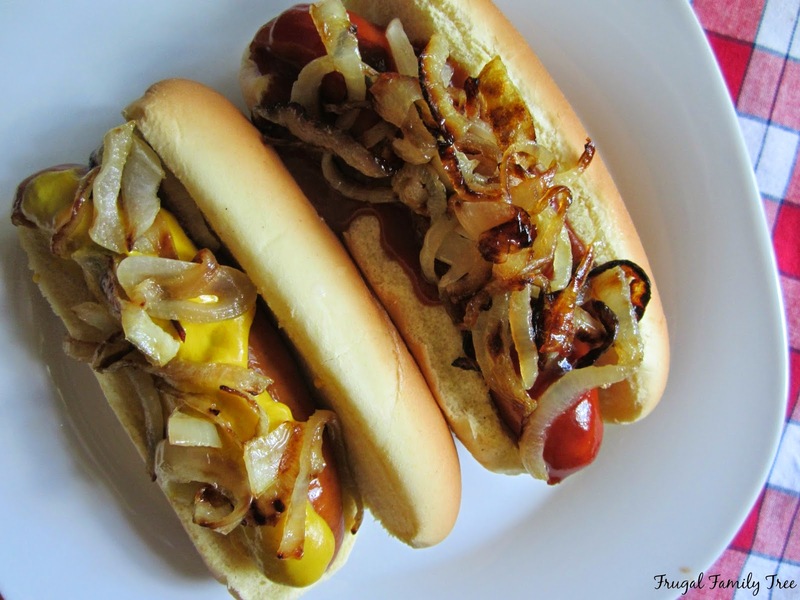 There are also Original Bratwurst, Jalapeno & Cheddar, and Craft Beer Brat to choose from as well. These sausages are already fully cooked, so you can grill them, fry them, or microwave them in a short time. We grilled them for about ten minutes, and they were smelling pretty delicious, and all ready to go into a bun with some toppings. 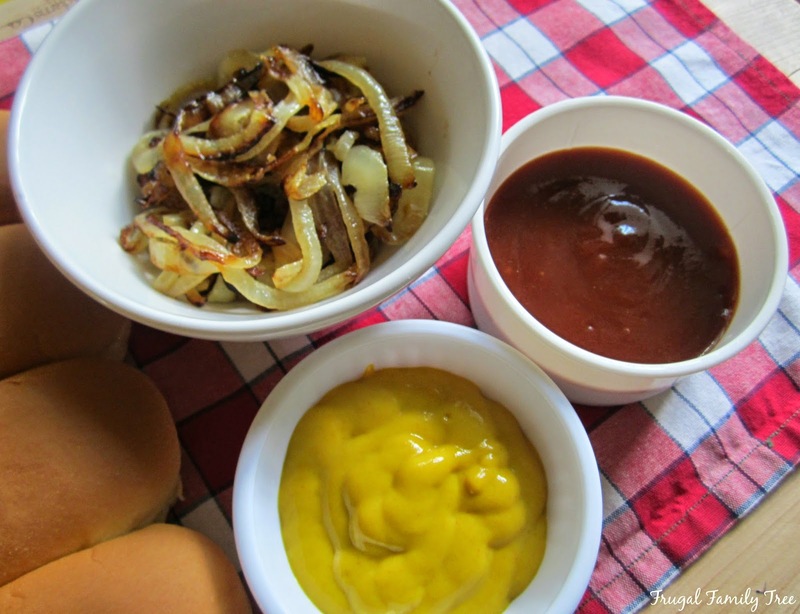 Sometimes we get fancier with what we put on our grilled sausages, but this time we just wanted the basics, good old-fashioned mustard and barbeque sauce. I have to admit I have a bit of an onion obsession!! 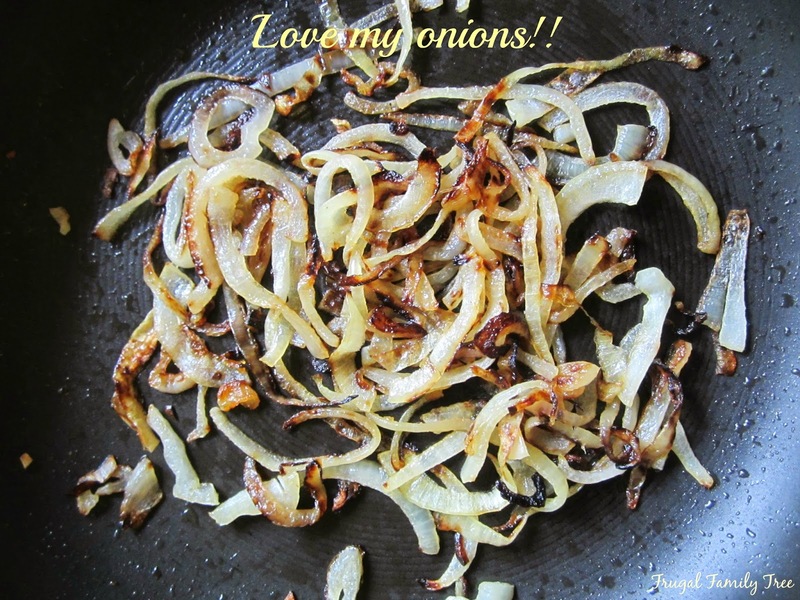 I just love frying onions until they are soft and brown, and adding a tiny bit of sugar to help caramelize them. I pile them high on all kinds of cooked or grilled meats. I have to say they were pretty fantastic on my sausages, and they totally brought out the flavor of the Garlic & Onion variety. My son-law- was the grill master on the day we had this barbeque. Living in the Pacific Northwest, he has really enjoyed trying many of the local beers from some of the small breweries that we have here. So when I told him that Hillshire also made the sausages in the Craft Beer Brat flavor, he asked me why I didn't buy any. That variety is next on my list to try for sure. If it's as good as the Smokey Bourbon, it's got to be delicious!! I'm so looking forward to the summer months, where we can enjoy delicious foods, family and friends, outside on the deck. You can find all five of the new Hillshire Farm Craft American Sausages at Walmart. From May1st - 4th, select Walmart stores will be featuring a special demo of American Craft Sausages. 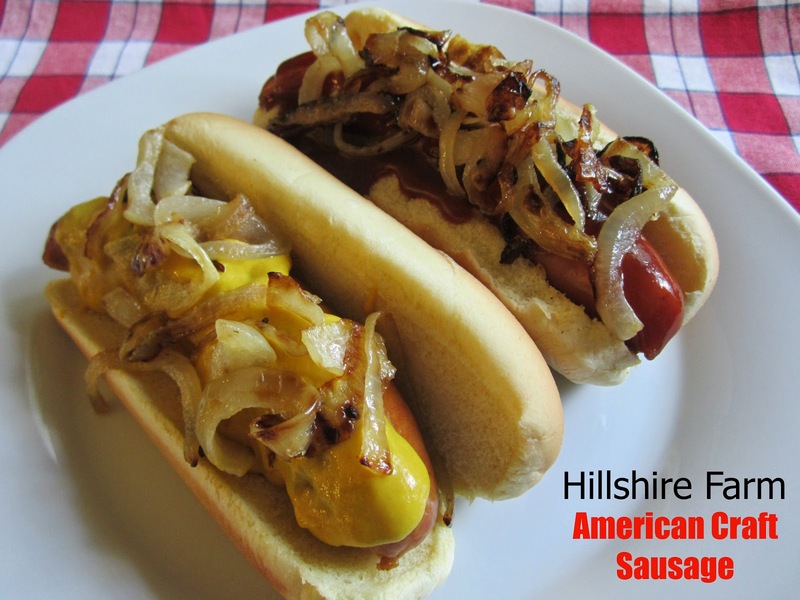 Pick up a package today, and #StartYourGrill season off right, with these new delicious sausages from Hillshire Farm. Those American Craft Sausages look quite mouthwatering! I sure do love a great BBQ! And the caramelized onions; that is brilliant to add a little sugar to them! #client. Oo I've never done bbq sauce on our sausages, but that sounds so perfect to accompany these! !